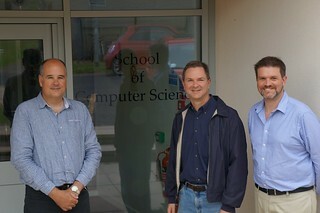 The School of Computer Science welcomes Dr Michael Milford from Queensland University of Technology, Australia who is meantime visiting Scotland. Abstract: The brain circuitry involved in encoding space in rodents has been extensively tested over the past forty years, with an ever increasing body of knowledge about the components and wiring involved in navigation tasks. The learning and recall of spatial features is known to take place in and around the hippocampus of the rodent, where there is clear evidence of cells that encode the rodent’s position and heading. RatSLAM is a primarily vision-based robotic navigation system based on current models of the rodent hippocampus, which has achieved several significant outcomes in vision-based Simultaneous Localization And Mapping (SLAM), including mapping of an entire suburb using only a low cost webcam, and navigation continuously over a period of two weeks in a delivery robot experiment. This research led to recent experiments demonstrating that impressive feats of vision-based navigation can be achieved at any time of day or night, during any weather, and in any season using visual images as small as 2 pixels in size. In our current research we are investigating the problem of place recognition and visual navigation from two angles. The first is from a neuroscience-inspired perspective, modelling the multi-scale neuronal map of space found in the mammalian brain and the variably tolerant and selective visual recognition process in the primate and human brain. The second is from an algorithmic perspective, utilizing state of the art deep learning techniques. I will discuss the insights from this research, as well as current and future areas of study with the aim of stimulating discussion and collaboration. Bio: I hold a PhD in Electrical Engineering and a Bachelor of Mechanical and Space Engineering from the University of Queensland (UQ), awarded in 2006 and 2002 respectively. After a brief postdoc in robotics at UQ, I worked for three years at the Queensland Brain Institute as a Research Fellow on the Thinking Systems Project. In 2010 I moved to the Queensland University of Technology (QUT) to finish off my Thinking Systems postdoc, and then was appointed as a Lecturer in 2011. In 2012 I was awarded an inaugural Australian Research Council Discovery Early Career Researcher Award, which provides me with a research-intensive fellowship salary and extra funding support for 3 years. In 2013 I became a Microsoft Faculty Fellow and lived in Boston on sabbatical working with Harvard and Boston University. I am currently a Senior Lecturer and Australian Research Council Future Fellow at QUT with a research focus, although I continue to teach Introduction to Robotics every year. From 2014 to 2020 I am a Chief Investigator on a $19,000,000 Australian Research Council Centre of Excellence for Robotic Vision. My research interests include vision-based mapping and navigation, computational modelling of the rodent hippocampus and entorhinal cortex, especially with respect to mapping and navigation, computational modelling of human visual recognition, biologically inspired robot navigation and computer vision and Simultaneous Localisation And Mapping (SLAM). 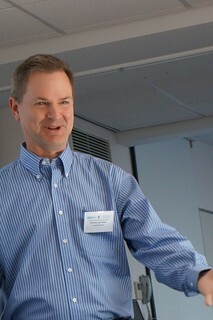 Joe is a product development expert with over 20 years experience in the field. An expert in cloud computing and one of the first users of Amazon cloud in Europe. An outstanding team builder who has created successful product teams in both small and large companies. 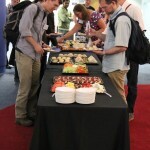 NoSQL, NewSQL, BigData, Hadoop Oh My! 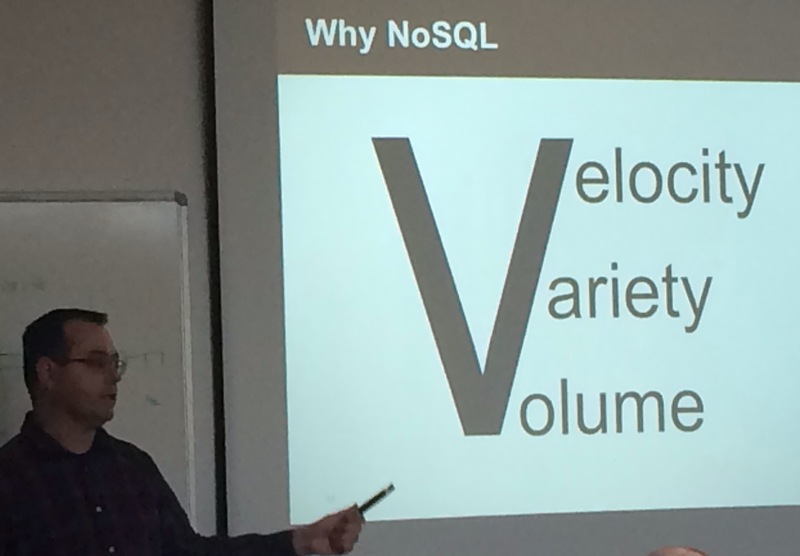 Why is NoSQL all the rage all of a sudden? why should I care? When should I use it? How should is use it? 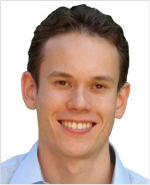 In this workshop Joe will demystify NoSQL and put it in its proper context. He will show you how and when to use it. In complex Systems engineering our new systems must be engineered to meet the needs of industry and society, operating robustly. How can NoSQL help and when should you consider SQL? Finally he will allow you to throw your weight around in NoSQL conversations down the pub or when next at a SICSA event! Abstract: The aim of this talk is to illustrate the use of Internet-of-Things (IoT) technologies as building blocks of smart city applications. As a first step the talk will present the pertinence of IoT and smart cities and accordingly it will introduce a range of smart city challenges that could be remedied based on recent advances in IoT technologies. Specifically, we will present how IoT/cloud convergence and IoT semantic interoperability can be used to facilitate the integration of existing silo developments in smart city developments, while at the same time providing new opportunities for innovative applications. The talk will also include the presentation of three practical smart city applications that make use of IoT technologies, notably applications in the areas of smart security, live news and urban planning. These applications are developed in the scope of (on-going) FP7 projects PROACTIVE (FP7-285320), SMART (FP7-287583) and VITAL (FP7- 608682-VITAL) and deployment in European cities (Santander (Spain), Camden/London (UK), Istanbul (Turkey)). John Soldatos is an Associate Professor at the Athens Information Technology, whose current research interests span the areas of internet-of-things, cloud computing and their (IoT/cloud) convergence in the scope of smart city applications. He holds a BSc. Degree (1996) and a PhD degree (2000) both from the National University of Athens, Greece, and since 1995 he has had very active involvement in more than fifteen (EC co-funded) research projects in the areas of broadband networks, pervasive/cloud computing, and the internet-of-things. He is also the initiator and co-founder of open source projects AspireRFID (http://wiki.aspire.ow2.org) and OpenIoT (https://github.com/OpenIotOrg/openiot). As a result of his research activities, he has published more than 140 papers in international journals and conferences. He has also been an Adjunct Professor at the Information Networking Institute of the Carnegie Mellon University (2007-2010) and a Honorary Research Fellow of the School of Computing of University of Glasgow (March 2014 – May 2015). Professor John Stasko and the Associate Chair of the School of Interactive Computing in the College of Computing at Georgia Tech has been appointed as an Honorary Professor in the School of Computer Science. 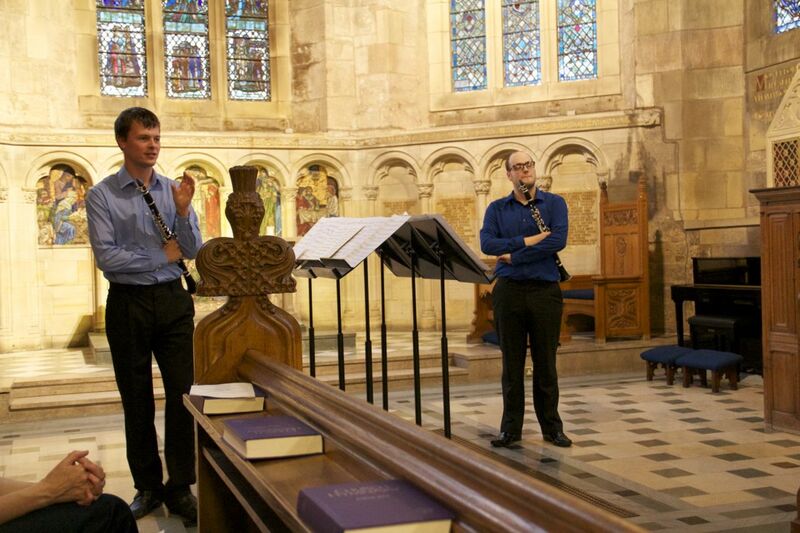 This appointment comes following a SICSA distinguished visiting fellowship John was awarded. 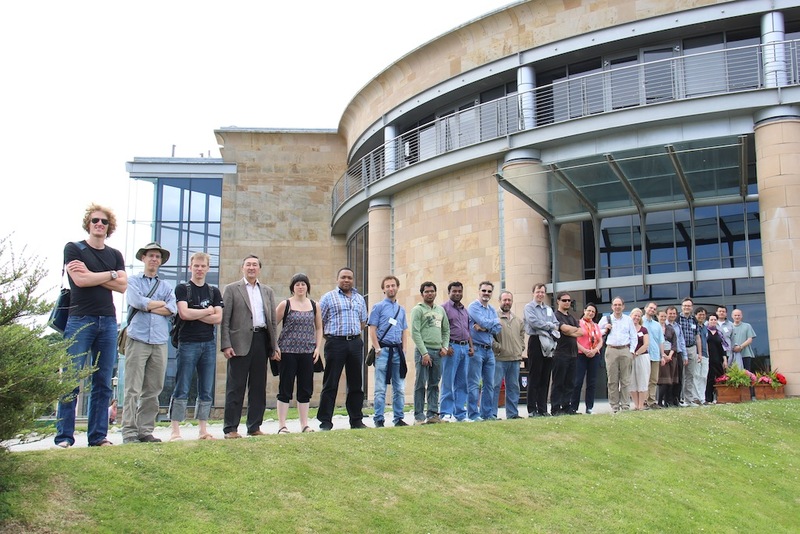 This fellowship allowed John to participate in the SACHI/Big Data Lab summer school in Big Data Information Visulisation in St Andrews. 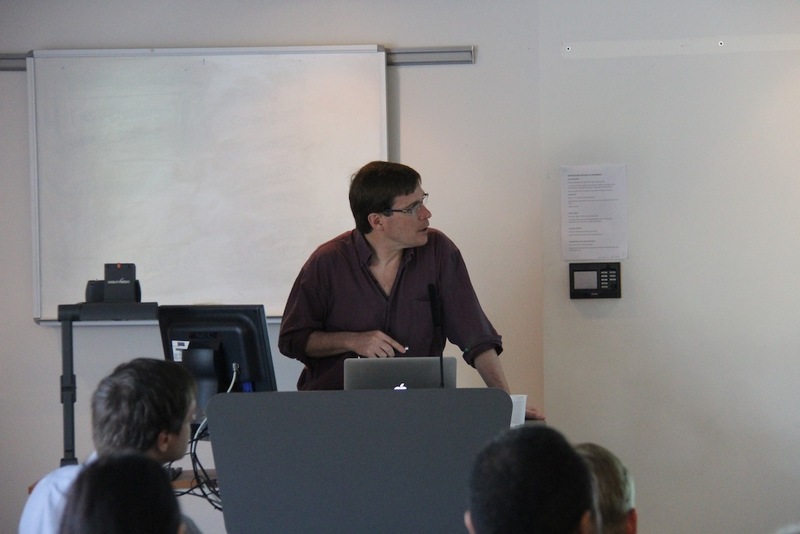 This industry linked summer school has successful paved the way for a new generation of students to explore Data Science and Information Visualisation. 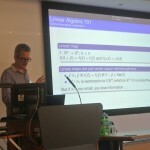 In this talk it is shown that every intermediate logic obtained from intuitionistic logic by adding a disjunction can be normalized. However, the normalisation procedure is not as complete as that for intuitionistic and minimal logic because some results which usually follow from normalisation fail, including the separation property and the subformula property. 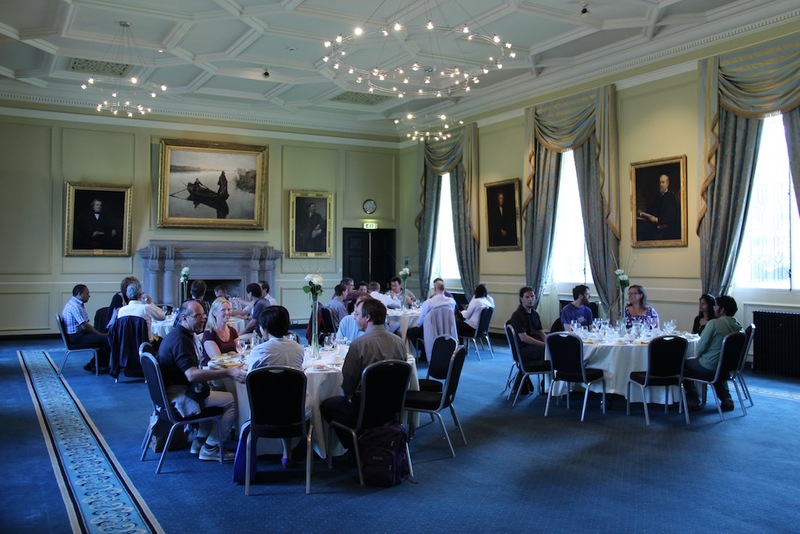 The 11th International Conference on Finite-State Methods and Natural Language Processing (FSMNLP 2013) was held in the Gateway in St Andrews on July 15-17,2013. 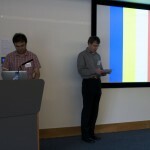 Presented were 17 peer-reviewed papers on natural language processing applications, language resources, and theoretical and implementational issues with relevance to finite-state methods. 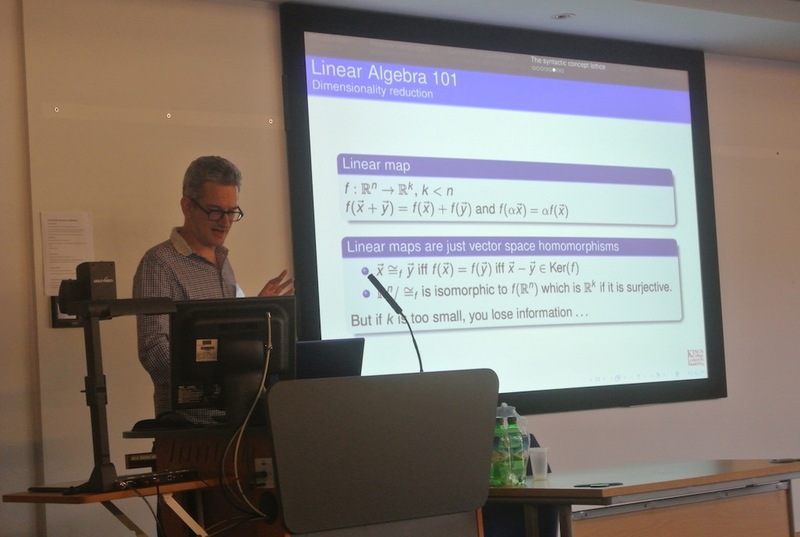 In addition, there were two keynote lectures, by Alexander Clark (King’s College London) and Bill Byrne (University of Cambridge), and three tutorials, by Ruth Hoffmann (University of St Andrews), Bevan Keeley Jones (University of Edinburgh) and Kousha Etessami (University of Edinburgh). 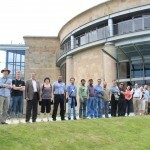 The conference was attended by 34 researchers and students from three continents. 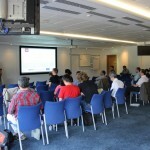 It also hosted a business meeting of SIGFSM (ACL Special Interest Group on Finite-State Methods). 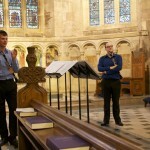 The social programme included a reception on July 14th, and a guided walk, a conference dinner in Lower College Hall and a concert in St Salvator’s Chapel on July 16th. 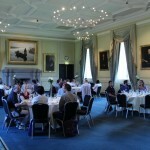 Accommodation in Agnes Blackadder Hall was arranged for non-local delegates, and lunches were served in the Gateway. 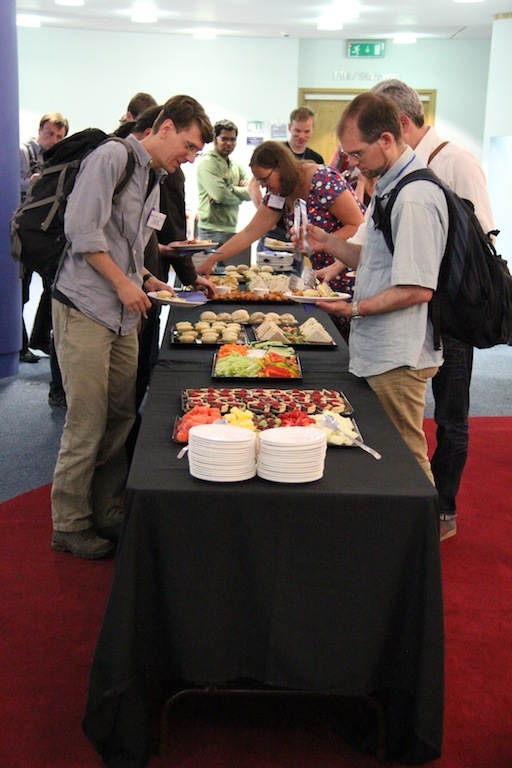 Coffee breaks could be used for informal demos in the smaller seminar rooms of the Gateway. 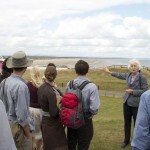 Sponsored student places were available thanks to support from SICSA. 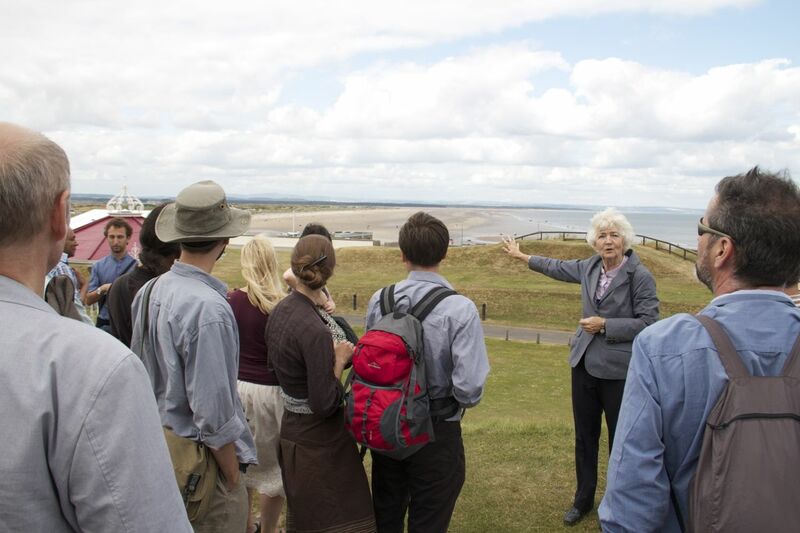 Further support was received from VisitScotland and the University of St Andrews. 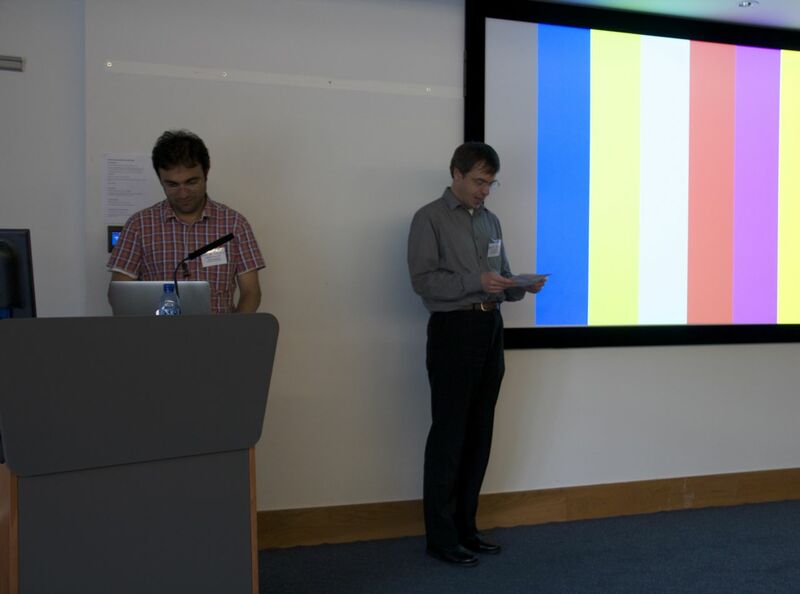 Images and text courtesy of Mark-Jan Nederhof (conference chair), Anssi Yli-Jyrä and Shyam Reyal. The Scottish Informatics & Computer Science Alliance in association with ScotlandIS hosted their 5th annual DEMOfest, a technology showcase of Scottish Universities Informatics and Computer Science on the 6th November. The school had three posters at the DEMOfest. Derek and Gordon were promoting their work on the SFC funded Horizon Project “Services to the Cloud”, Masih’s poster was “On The Propagation of Network State Knowledge In Structured Peer-to-Peer Networks”, which forms part of his PhD, and Chris was talking about the work he’s been doing with Alex Voss on “Analysing Social Media”. 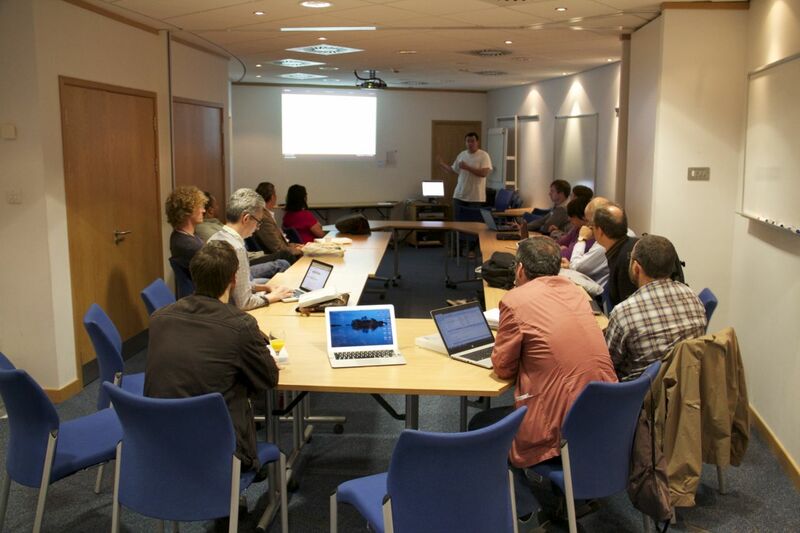 In addition, for the first time, workshops were included as part of the DemoFest. 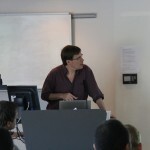 Gordon organised the first of these on the topic of Cloud Computing. The lunchtime workshop was aimed at software developers who are considering moving their product to the cloud, and comprised three invited speakers and an open panel Q&A/discussion session. 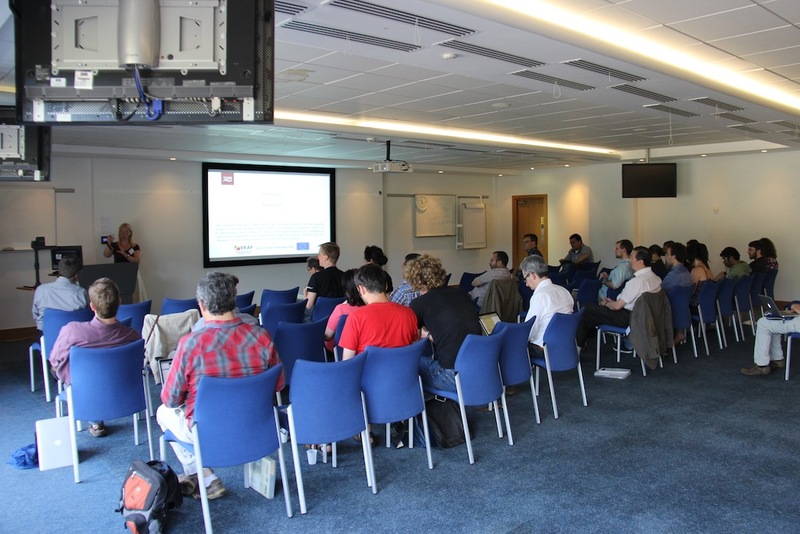 It was attended by 37 people from industry and academia, and is the first in a series of dissemination workshops being organised as part of the Services to the Cloud project.